Here at CHENONN ELEC, all our efforts are devoted to providing you, our customer, with a consistently high level of quality product. This high standard is achieved by the careful selection and monitoring of our suppliers. All customer comments or queries are taken into consideration to fine tune our service. Unfortunately, PCBs cannot simply be bought off-the-shelf. If you are aware of the Many Stages required in the production of a PCB, you will know that it is indeed a long and complex process. 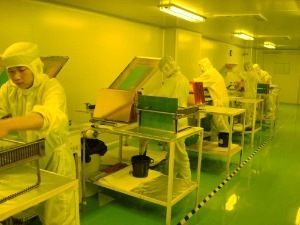 98% of our PCBs are to our customers’ satisfaction. It is our top priority to rectify the remaining 2%. If you are not satisfied with your boards, please contact us and return them, along with the quality guarantee to us.Your boards will then be remade, free of charge, on the next available panel. The high standard of our products and services has been confirmed by an independent, external source.